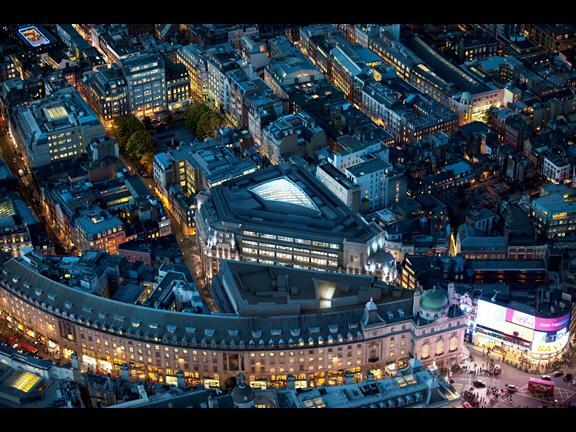 Quadrant 3 is one of four blocks that forms the spectacular Quadrant, that sits at the south end of Regent Street. At the beginning of January 2012 the building was 60% let. In February Telefónica will start their fit out of the 4th and 5th floors – 51,000 sq ft – to create their global headquarters of their new digital division, ready in the summer. Halfords Media are fitting out the 3rd floor – 30,000 sq ft in total. Both companies have signed 15 year leases, joining Al Gore’s Generation Investment Management firm. The Crown Estate has redeveloped the block as part of a long-term programme for the area. Regent Palace Hotel, which opened in 1915, originally took up the whole block. Quadrant 3 is now a multi-use block, comprising of office space, shops, flats, restaurants and bars. 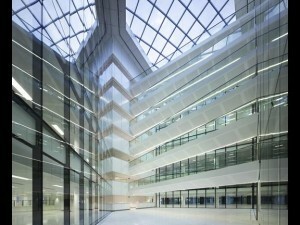 Dixon Jones have been the developers of this challenging London refurbishment. 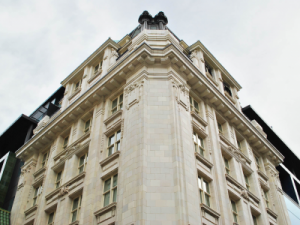 The focus of the difficulty with this development was the fact that the original 1,028 room hotel was a warren of rooms with floor-to-floor heights of only 2.85m. The building was listed in 2003 following plans to completely rebuild it; in the basement there are 3 fine 1930s Art Deco bars also covered by the listing. Work on this building has required a careful balance of modern demands and sensitivity to the historical context. It was decided that the handsome corners of the building should remain and the bits between could be replaced; the original features mask the scale of the new additions. The corners contain flats, offices and open space within the original levels and the main floorplates are now 3.8m floor-to-floor heights. 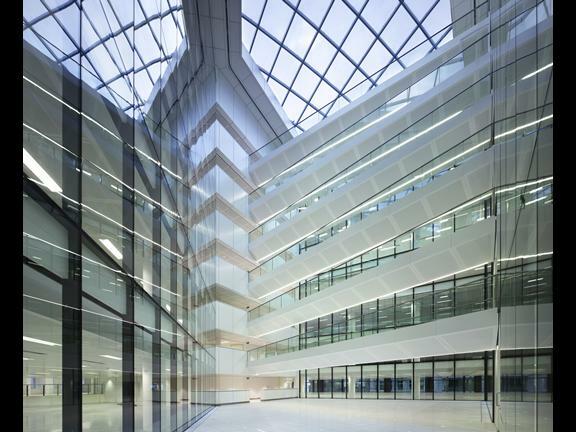 The block contains 3 self-contained 18m span office zones on each floor, all served by atrium bridges – the design is simple and effective. The environmental credentials are one of its selling points: it has a BREEAM Excellent rating; this attracted Generation Investment Management, which was co-founded by Al Gore, an environmental activist.